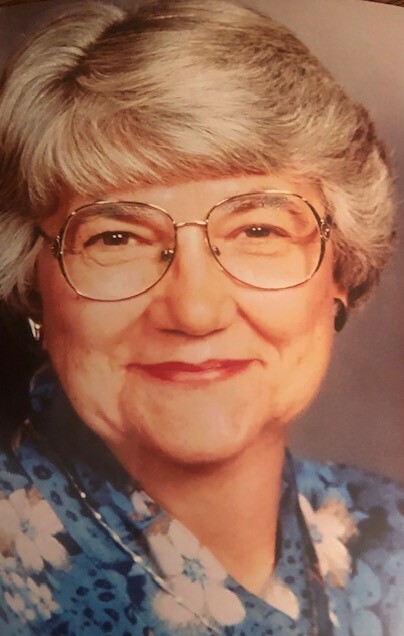 Carolyn Kay Vardaman, 84, of Decatur, Indiana passed away on Saturday, April 6, 2019 at her residence. She was born on February 18, 1935 in Windber, PA to the late Kenneth and Beulah (Horner) Faust. On July 14, 1956 she married Wayne Vardaman. She was a member of the Pleasant Dale Church of the Brethren. Carolyn had a wonderful servant and missions heart and truly loved ministering to others. She was the church librarian and volunteered at Camp Mack. She was also a bookkeeper for her husband’s Metal Fabrication and Installation and Trucking business and also loved gardening and pulling those pesky weeds. Carolyn is survived by her husband, Wayne of 62 years; 2 sons, Dwayne (Teresa) Vardaman of New Haven, IN and Allen (Lisa) Vardaman of Bluffton, IN. She had 4 grandchildren, Megan Vardaman, Matt Vardaman, Anita Vardaman and Andrew Vardaman. She was preceded in death by a daughter Coleen Graham in July 2007. The Visitation will be held at the Pleasant Dale Church of the Brethren on Thursday, April 11, 2019 from 1:00 p.m. – 3:00 p.m.
A Funeral Service will follow at 3:00 p.m. with Pastor Jay Carter officiating. Burial will follow at the Pleasant Dale Cemetery.